Music is one thing that easily unites the whole world because it comes in so many forms, practised by everyone, and even breaks through demographic, racial and religious barriers. Over the years, some Jews have continued to play influential roles towards the reshaping of music in America and Jack Antonoff, an American-Jewish multi-instrumentalist, is one of such musicians. Even though Antonoff knew from childhood he was meant to be a musician, he didn’t get started until his second year in high school when he formed a band with some friends from elementary school. Today, he has grown to become a spectacular force to reckon with in the competitive industry. Jack has achieved quite a lot despite his short time in the showbiz industry – he boasts his own music festival, several awards, nominations and songwriting credits. Though the musician is popularly known as Jack Antonoff, his full name is Jack Michael Antonoff. He was born as the middle child of his parents on 31st March 1984, in Bergenfield, New Jersey. Jack was born to Rick Antonoff and Shira Antonoff, parents to his younger siblings – Sarah Antonoff (she died at the age of 13 as a result of brain cancer) and Rachel Antonoff (she is a renowned fashion designer). The American musician has Jewish heritage and was raised in Woodcliff and New Milford cities, which are in New Jersey. Antonoff completed his elementary school at the Solomon Schechter Day School of Bergen County and later enrolled at the Professional Children’s School with his sister for high school. Upon entering his sophomore year in high school in 1998, he, with the help of some elementary school friends, formed a punk rock band called Outline. Jack started out as the group’s vocalist until Eddie Wright emerged and took over the vocals. Prior to Wright’s arrival, the group was able to release a self-titled EP in January 2000 through a friend’s record label and later recorded and released six songs with the help of Eddie. The following year, the band released an album titled A Boy Can Dream through Triple Crown Records. Riding on the wave of this success, Jack and one of his bandmates started booking shows in several states including Texas and Florida. Sadly, the band only survived until 2002 but that didn’t stop Antonoff from actualizing his dream. He later met a friend (Scott Irby-Ranniar) in the same year and together, they formed a band called Steel Train. He later joined the pop group, Fun, and also helped in the writing of their second album, Some Nights in 2012, following the release of their debut album Aim and Ignite, in 2009. 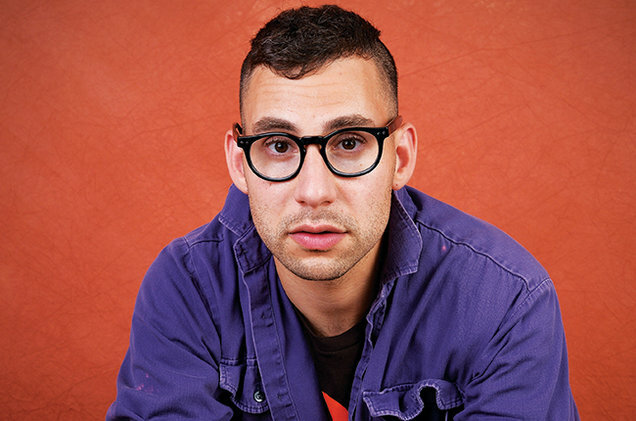 Besides being a phenomenal singer and songwriter, Jack Antonoff is a record producer, bass guitarist, pianist, drummer, guitarist, and mandolin player. Since he broke through to mainstream success, he has worked with notable groups and artists such as Bleachers (Indie pop act), Lana Del Rey (American singer), Lorde (New Zealand singer), Pink (American singer), Charli XCX (English singer) and many others. The most prominent of them all is his collaboration with music powerhouse, Taylor Swift, in the production of a song titled Sweeter Than Fiction in 2013. The son, which was basically written for the film, One Chance, earned him a Golden Globe nomination. Antonoff also boasts three Grammy Awards. One for “Album of the Year” for his involvement in Swift’s fifth studio album, 1989. This is followed by two for his role in the band, Fun, including an award for writing the song We Are Young, which he wrote with co-musicians Jeff Bhasker, Andrew Dost, and Nate Ruess. In 2018, a song he jointly wrote for Swift titled, I Don’t Wanna Live Forever, won a nomination for Best Original Song at Satellite Awards while another project he worked on – Love, Simon (an American romantic teen comedy-drama) was nominated for 2019 Satellite Awards. Antonoff is reportedly in a relationship with a model/photographer called Carlotta Kohl. However, neither the musician or Kohl have confirmed the relationship. 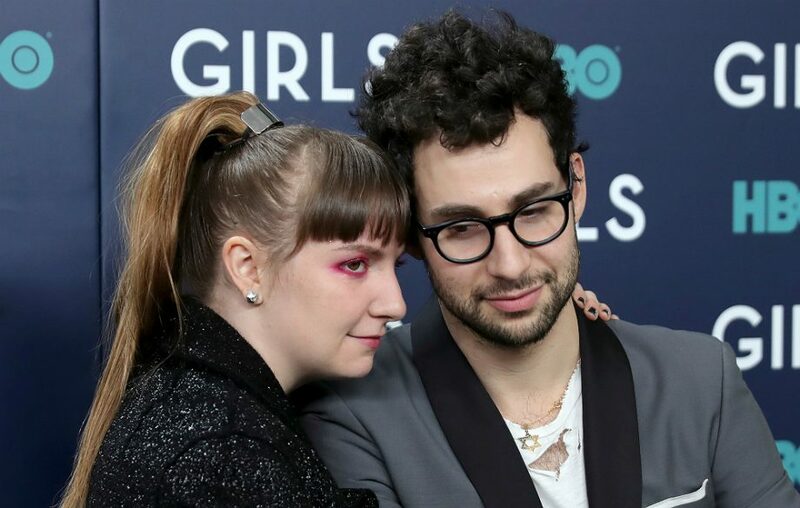 Jack Antonoff previously dated American actress Lena Dunham, the daughter of filmmaker Laurie Simmons and painter Carroll Dunham. They began dating in April 2012 and shockingly had an “amicable” separation in December 2017. The musician lived with Lena in Brooklyn Heights all through the period they dated. Antonoff also had a short-lived relationship with actress Scarlett Johansson, who was his classmate at the Professional Children’s School. There is no doubt the Bergenfield, New Jersey-born multi-instrumentalist is already on his path to greatness. As of 2018, he has a net worth of $4 million, which he amassed from his involvements in music and working with influential people.